Kisimul Castle sits on a rocky island just off Castlebay and was built around 1039. Since that time, Kisimul has been the stronghold of Clan MacNeil. It is completely surrounded by water and has never fallen to an enemy. 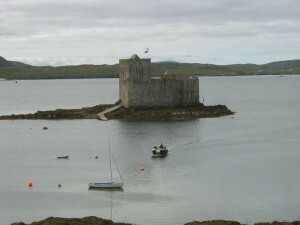 Kisimul was abandoned in 1838 when the island was sold, and the castle’s condition deteriorated. Some of its stone was used as ballast for fishing vessels, and some even ended up being used as paving in Glasgow. 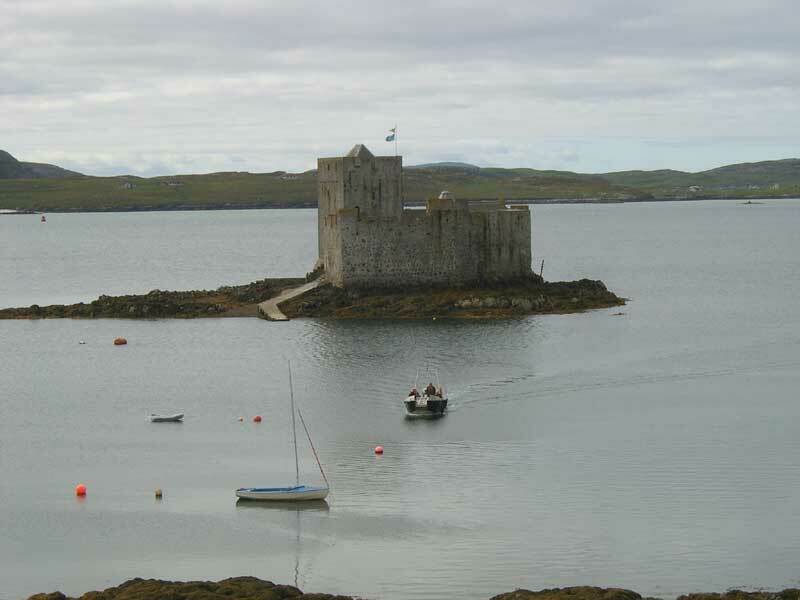 The castle remains, along with most of the island of Barra, were purchased by the chief of Clan MacNeil in 1937, who in 2001 leased Kisimul to Historic Scotland for 1000 years for the annual sum of £1 and a bottle of whisky. The boat trip from Castlebay jetty to the castle takes 5 minutes and is open Summer only and closed on Fridays.